I’m new to the “make at home” thing, so I decided to start with my favorites. 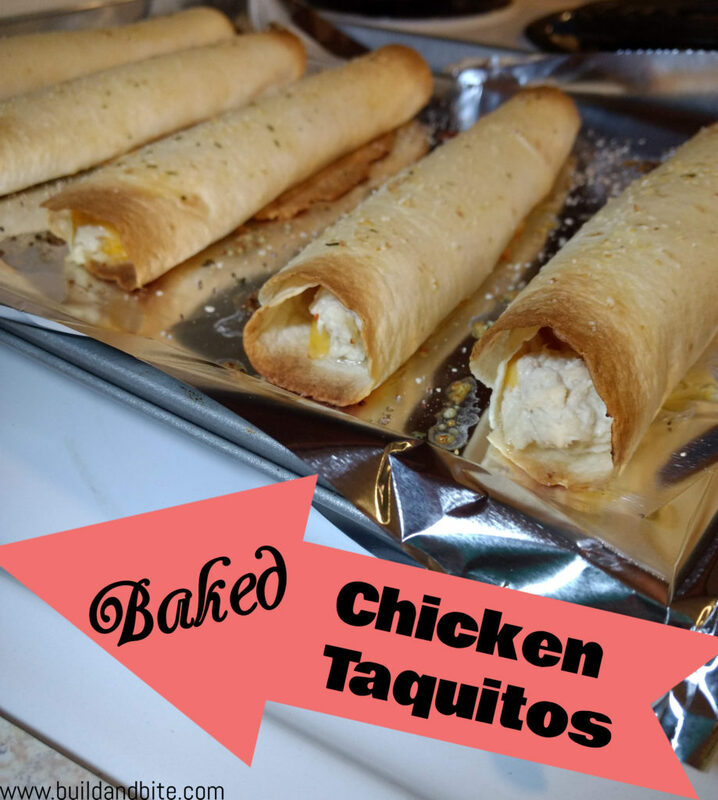 Baked chicken taquitos are definitely on that list. We’ll pick up a box of frozen ones here and there, but they’re just so darn expensive! I also wanted to make sure they were healthier than the store-bought, which is why I baked them instead of frying them. I had leftover shredded chicken from making chicken enchiladas and decided I’d give it a go. 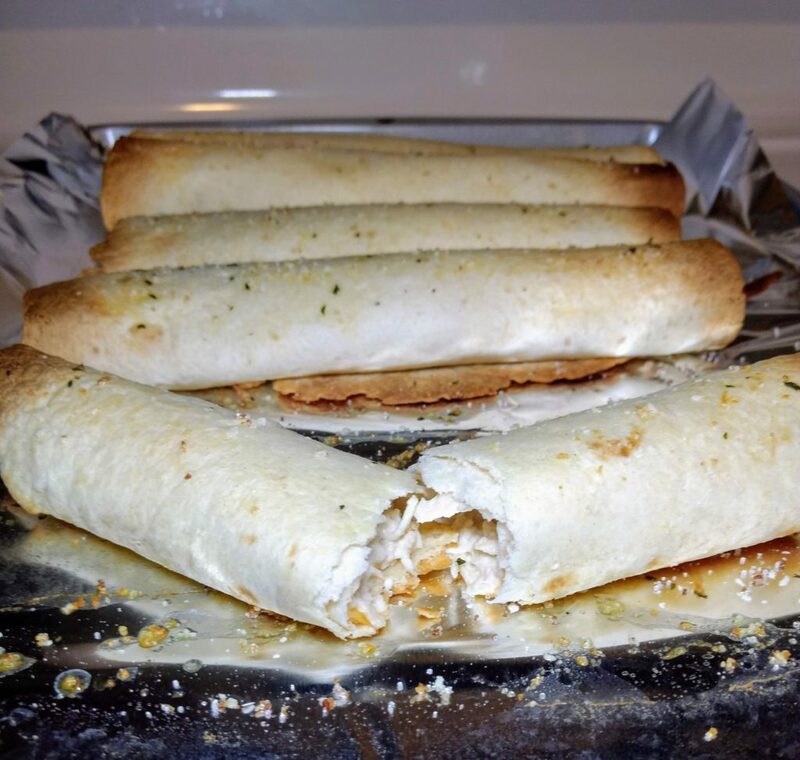 This recipe is almost as easy as making the frozen chicken taquitos! You roll them with chicken and cheese and melt butter on top and that’s it! Another great thing is once you make them, you can freeze or refrigerate them for later! Just pop them back in the oven until warm and crispy again. Rolling up the tortillas is easy! 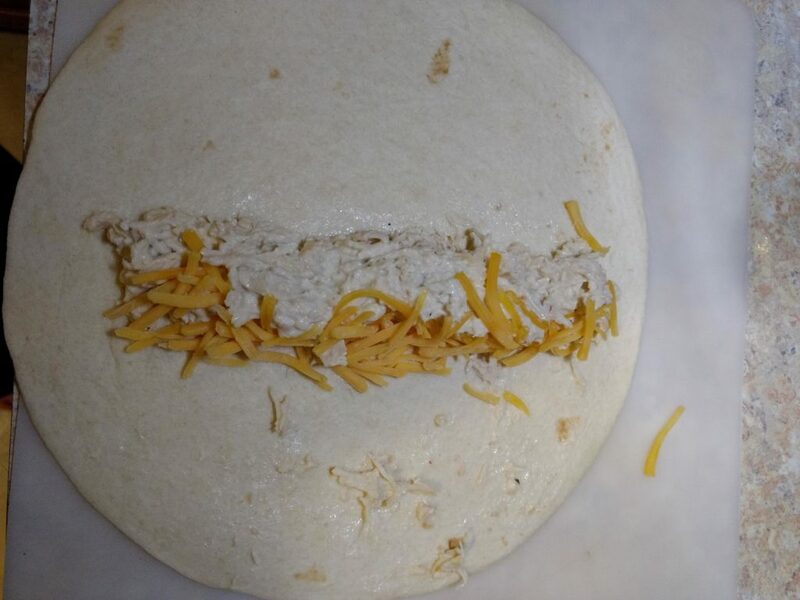 Just put chicken and cheese down the middle like the picture, then roll them up. You can leave the ends open as I did or fold them in. It’s the exact same way you make my chicken enchiladas up until this point. Make 2 cups Slow Cooker Shredded Chicken, the recipe for enchiladas. Spoon 2 tablespoons of shredded chicken mixture in a line down the middle of each tortilla. Sprinkle shredded cheese on tortillas. Roll tortillas and place, seam side down, on baking sheet lined with aluminum foil. Melt margarine and spread liberally on the top of the tortillas. Bake at 400 for 15 minutes, or until edges are crispy. Do your best to tightly roll taquitos. You can also broil instead of bake, this will help them get crispier. You can put as much or as little in them as you would like, but taquitos, like you find in grocery stores, have just a little bit in them and are tightly rolled. Have you made taquitos at home? Do you add anything else to them? Let me know in the comments!